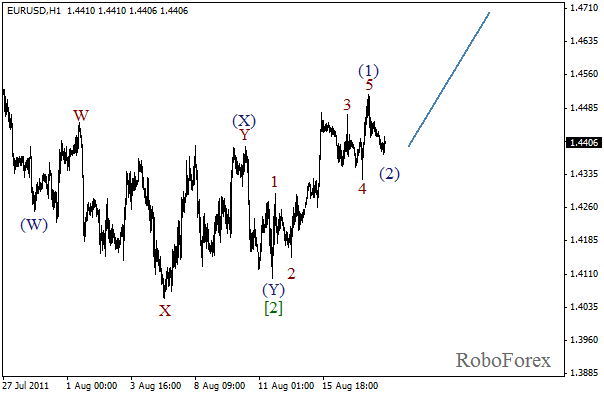 We may assume that zigzag pattern in wave (4) has been formed. On the minor wave level we can see that initial descending impulse in wave 1 has been completed. In the near term, we can expect bearish trend to continue. The range of wave C wasn’t as high as that of wave A couple of days ago. 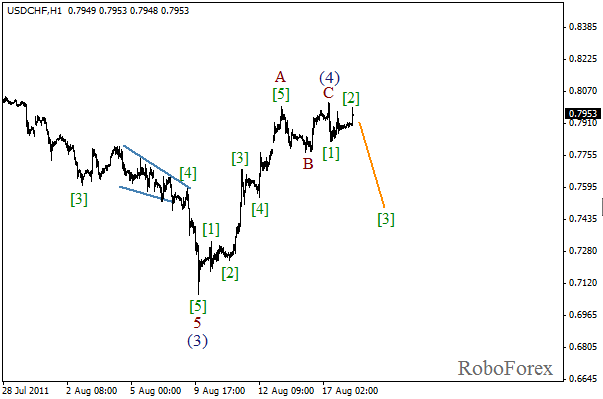 At the moment we can see the local correction, wave . We can expect the correction to be completed within the next few hours. After that the third downward wave may start. After initial impulse (1) had been completed, the correction started. The second wave is about to be finished, and I think it won’t be very deep in comparison with the previous one. 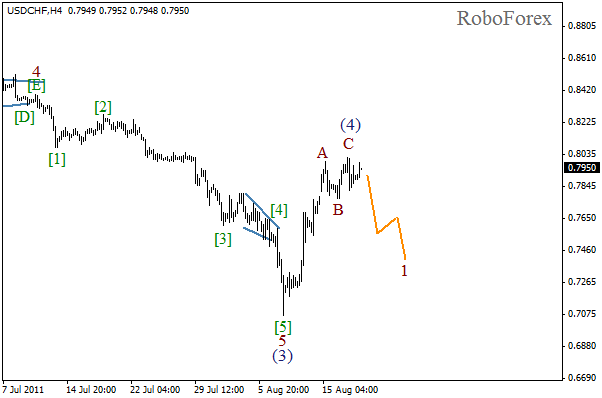 In the near term, we can expect the finish of wave (2) and the start of the third wave. More detailed structure of wave (1) is shown on the H1 chart. 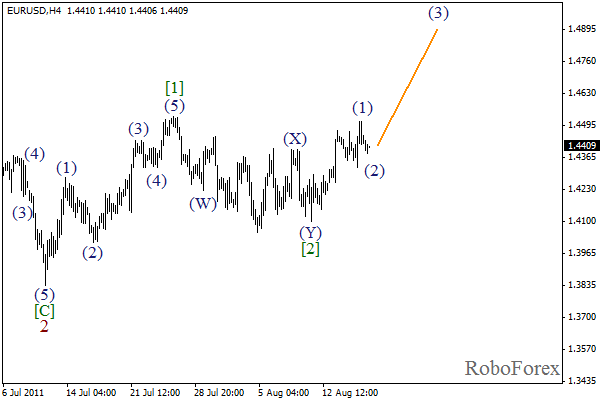 We may suppose that wave (2) has been completed. Even if our supposition is not correct and the formation continues, the price may start growing inside wave (3) within the next several days.